The position directly reports to Security & Investigations Manager. – Bachelor’s degree in Security Management or related field. – A minimum of 3 years’ experience in criminal investigations or forensic investigations, demonstrating a progression in complexity, scope and number of engagements managed. Experience in an intelligence. – Investigation Reports and recommendations. – Enforcement of UPU security guidelines. – Plan, organize, and direct the work assigned. – Investigate, and having good communication skills. – Interact professionally with various levels of BotswanaPost group employees and outside representatives. – Prepare comprehensive reports and correspondence. – Determine strategies to achieve goals. – Compile and analyze complex data. 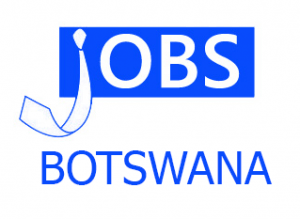 BotswanaPost offers attractive salaries and benefit packages that are commensurate with qualifications and experience. All applications must be posted on or before 30th April 2019. NOTE: Only shortlisted candidates will be responded to.